It is through the body that we grow our knowledge of the world and explore our place in it. My site-specific work revolves around the body as both an inspirational and expressive medium that bridges our inner world of ideas, ambitions and imagination, and the world of our surroundings – the place where we find ourselves. I lead an imaginative workshop process that looks to develop physical and sensory relationships with the environment. These dialogues inform the developing movement material that evolves into choreography. I have made work involving professional dancers and members of community-based groups, and together with collaborations between both – in rural and urban environments. The Long Tide – a collaboration with Druridge Bay Country Park in Northumberland, the local school and the community centre. The country park was once the site for opencast mining. Footfalls Echo @ Belsay working with English Heritage, professional dancers and local communities at Belsay Hall, Castle and Gardens. Figure Moves @ Edlingham – again English Heritage, a castle ruin, professional dancers and local communities. In 2006 devised and directed the cross discipline performance in Baltic Square that welcomed the international delegates to the NewcastleGateshead hosted World Summit on Arts and Culture. Namaste – a students' dance journey around the campus of Nelson Mandela Metropolitan University of Port Elizabeth in South Africa. Rapt @ Dance City – a collaboration in Newcastle upon Tyne that placed performance episodes throughout the building in collaboration with Northumbria University and Dance City – the national dance agency for North East England. 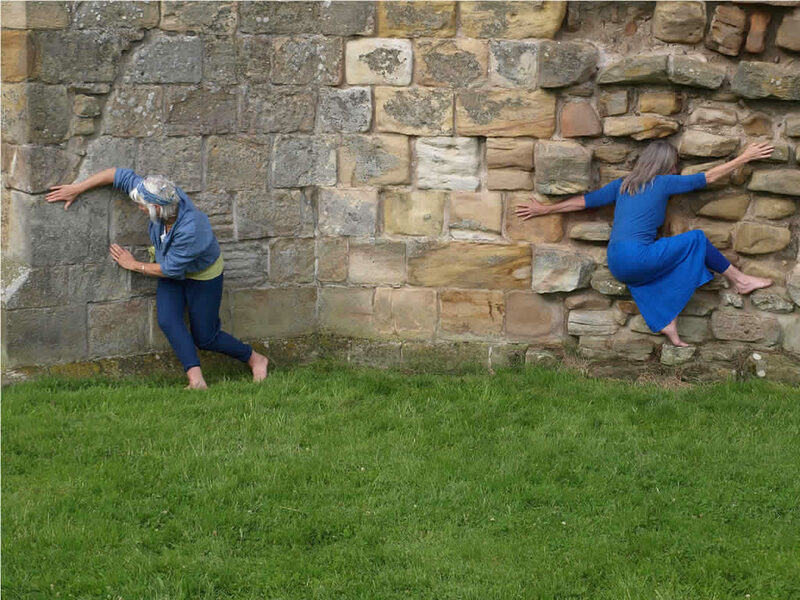 Barefoot @ Seaton Delaval Hall – working with the National Trust and Blyth Valley Arts to involve community groups with poor access to participatory performing arts events. Pop-up performances Newcastle Central Station, Burnlaw Centre's Earthing the Spirit, along the pilgrims' route at Romainmotier in Switzerland. Much of this work drew upon a wide catchment of professional and innovative public engagement. Most of the performances involved the audience moving to catch a series of episodes as they unfolded. Nearly all received Arts Council England and various local authorities' funding. Certain key aspects of my work that explores and establishes new physical and sensory relationships with our surroundings has been profiled in Tamara Ashley's PhD dissertation Site-sensitive dance in transition.